I almost died when I saw the 64 count chalk at Target earlier this year. And the most AMAZING part is it was only $9.99. I snatched it up and put it in my cart right away. I was then VERY excited when Crayola sent me another box to review in exchange for an honest review. 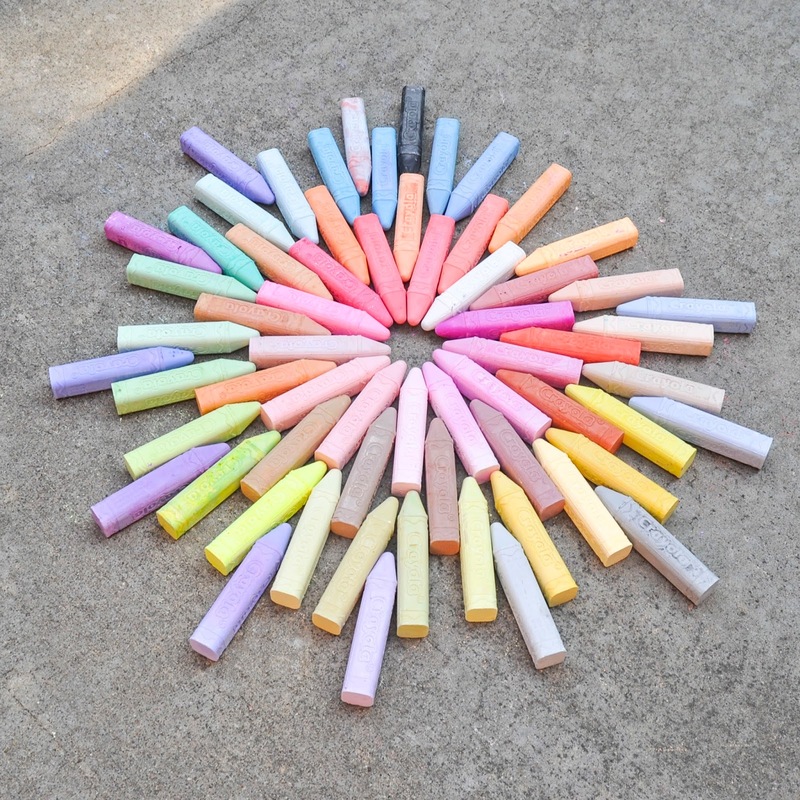 Now we can have chalk for a long time, because Crayola chalk LASTS forever. Picture taken by my daughter, she wanted to take a picture too and hers was better! 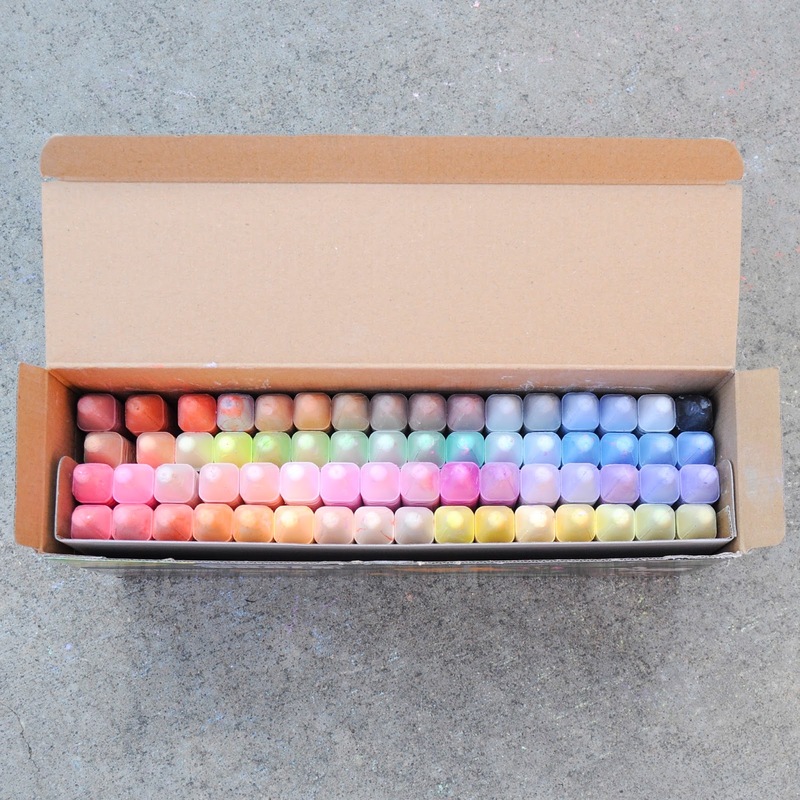 The 64 count Crayola sidechalk box consists of the colors in the 48 box, Glitter Neon, Neon, and Tie Dye. I imagine some colors are repeated between the Neon and Neon Glitter. When we were looking at the chalk my daughter really loved the tie die colors. She thought it was neat how they were mixed. To see more detailed information including collecting information click here. 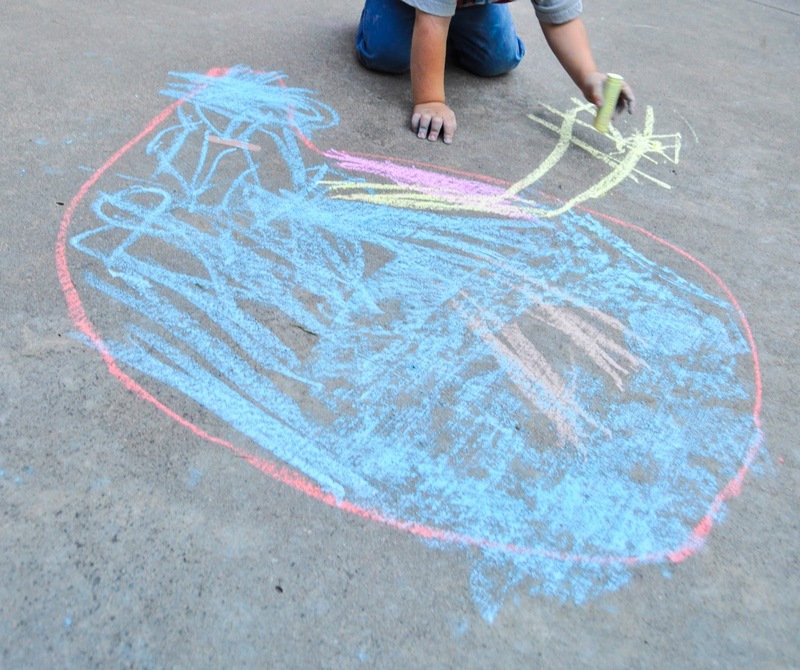 What do I think of the 64 count of Crayola chalk? To say I love it is an understatement. I love it because of all the different colors. 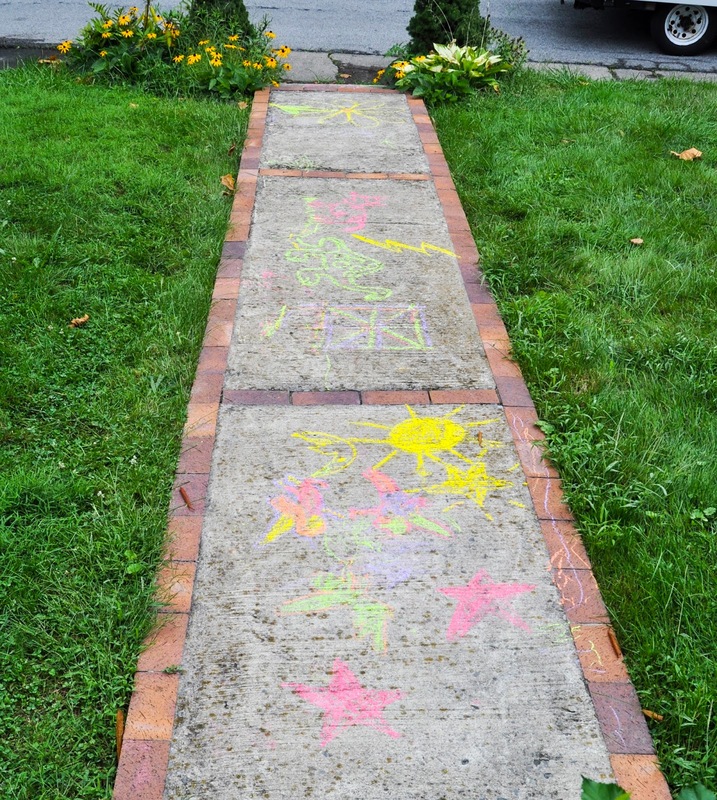 I love Crayola chalk because it has such a smooth lay down on the pavement and lasts forever. We have used our 48 count box so many times, birthday parties, barbecues, summer fun and I would say the box if probably still half full. It lasts forever. The colors are super vibrant. 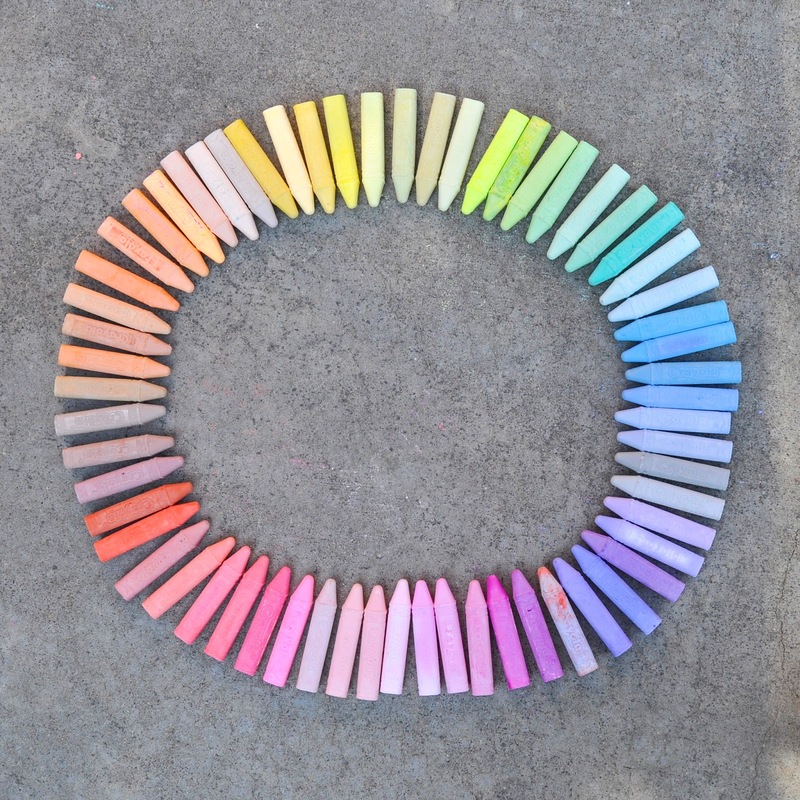 The kids love colors because every color is different. It also washes away very well. I usually just wait for it to rain and it clears up by itself. 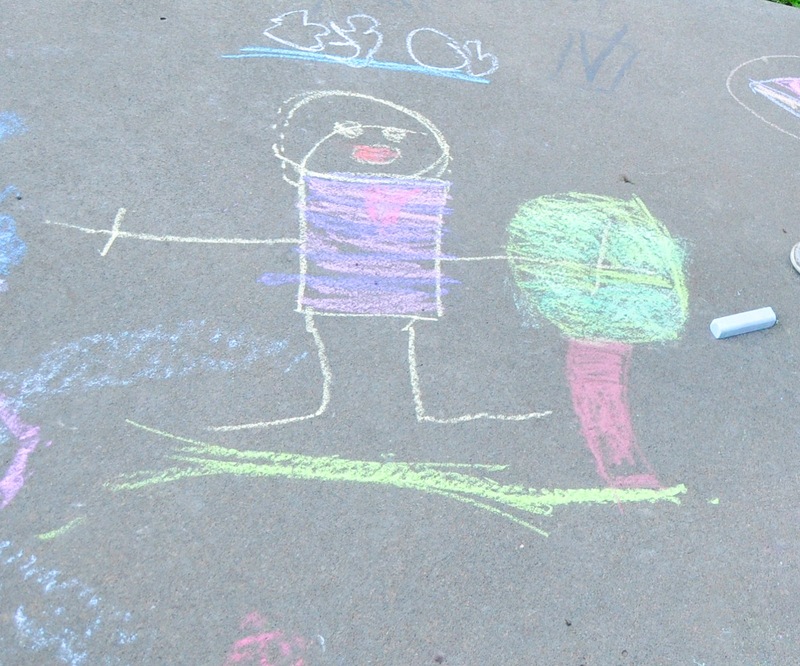 Here are some of the drawings my kids have done with sidewalk chalk. My son really likes blue. I would change nothing. The price is right, the size is right, everything is great!